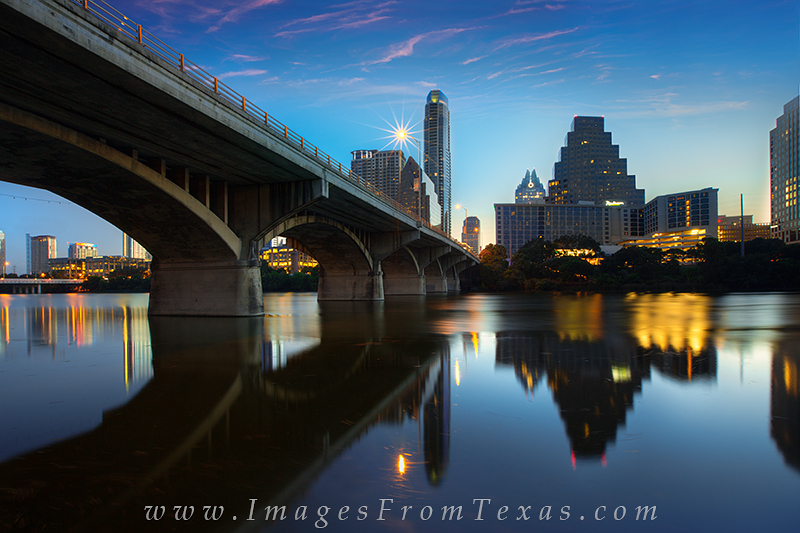 On a still spring morning, the skyline of downtown Austin reflects in the smooth water of Lady Bird Lake. Even at an early hour, many joggers and exercisers are out enjoying the Zilker Park trail and brisk predawn air. Photo © copyright by Rob Greebon.